Spoiler alert: since the focus of this article is the music James Horner wrote for the movie’s concluding third act, everything down to the third-act twists is explored at great length here. Since House of Sand and Fog is both visually accomplished and a story of profound humanity, I recommend you watch the movie before you read this article. Andre Dubus III’s novel House of Sand and Fog puts forward two characters who each in their own justified way lay claim to a house. At the start of the story, it is owned by Kathy Nicolo (Jennifer Connelly), who inherited the place from her dead father. 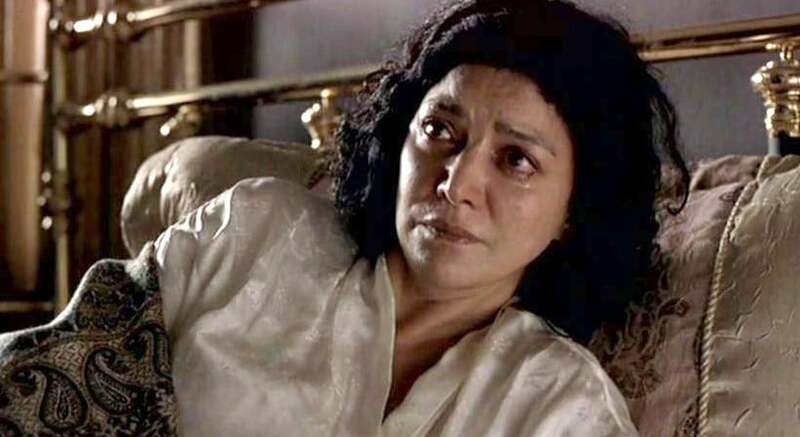 When the recovering drug and alcohol addict is evicted after not paying her bills, the house is sold to the highest bidder, the proud Iranian Colonel Massoud Amir Behrani (Ben Kingsley), his wife Nadereh (Shohreh Aghdashloo) and their adolescent son Esmail (Jonathan Ahdout). Behrani was forced to flee from Iran in 1979, when the Shah’s regime was overthrown by the islamist ayatollahs. An exile in the United States, Behrani is reduced to menial jobs while his fateful pride urges him up the social ladder. Stakes are raised as the disputed claim of ownership sets Kathy Nicolo and Colonel Behrani on a collision course. Kathy is helped by Lester Burdon (Ron Eldard), a flawed policeman who falls in love with her, leaves his own wife and fans the flames of hatred between the protagonists. The self-righteous Burdon has a history of tampering with evidence to get offenders convicted. At the end of the second act, during the All Is Lost, Kathy believes she has lost both Burdon and the house and drives up to its curb to commit suicide with Burdon’s gun. This act of desperation melts Behrani’s heart and he carries the young woman into the house. At this point, the proud and stubborn Colonel effectively becomes the flawed woman’s new father. During the Dark Night of the Soul (screenwriter jargon), Kathy again tries to take her own life and Behrani reflects on his actions, contributing to the suicide attempt of an antagonist he now knows is only “a wounded bird” that needs nurturing. Lester Burdon arrives on the scene and fatefully misreads the whole situation. The third act starts with him breaking into the house (a quite literal Break Into Three) and forcing the Colonel on a path that leads the three members of the Behrani family to death and himself to prison. Only Kathy ends up redeemed, at least to the extent that she gives up the house, which disappears from the audience’s gaze shrouded in dense fog. On the DVD’s commentary track, Ben Kingsley describes his theory of the story’s three families. Kathy Nicolo’s is a collapsed family: her father is dead, her mother is absent and her brother is unprotective. Lester Burdon’s is a family that disintegrates from within: Lester hasn’t touched his wife in ages and his small children, Nate and Bethany, will have to cope with their parents’ divorce. Behrani’s is a family disintegrated by the gods: Behrani witnesses the violent death of his only son and in a mix of contrition and despair, both Behrani and Nadereh commit suicide. The movie is cinematic because it turns the novel’s words into visual metaphors. The dish-like table is a symbol for hope in the Behrani family. These hopes are dashed when Lester Burdon throws it around the room in the third act. By the way, Burdon equals burden, as this fundamentally good-hearted character burdens the lives of everyone he touches. Lester would probably have liked to be less of a burden, but sadly, he isn’t. (I am not making this up, I’m simply quoting Vadim Perelman’s commentary track. By the way, this practice is not uncommon: remember how Sandra Bullock played Ryan Stone in Gravity (2013)? After the loss of her baby daughter, her heart turned to stone. This deep sense of estrangement prompted the filmmakers to physically remove her from the planet. Her return to it is the road to redemption. This means that Gravity is about Ryan Stone’s rite of passage, it is not a science fiction story in any way.) Another visual metaphor appears toward the end of the movie, when Kathy sees a dead bird floating in the water. In it she sees the mirror of her own fate if she continues down this path. The story centers on two protagonists, and they are both reflected in the elegant title. The fog is a metaphor for Kathy’s life, the sand refers to the Iranian beach Behrani watched his wife and son play on, as well as the beach house he so cherished back in his glory days. The movie’s house, although decidedly not a palace, is all that reminds Kathy of her disintegrated family, while Behrani’s decision to install a widow’s walk and cut the trees blocking the view are representative of his yearning to restore the peace, comfort and luxury of his life in Iran. Tragically, none of these elements will be allowed to endure. 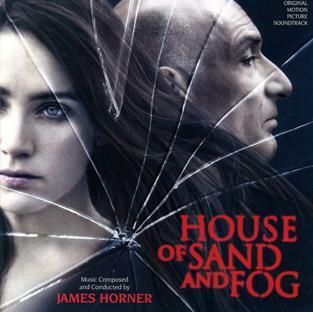 House of Sand and Fog is perhaps the ultimate example of the long-form approach that is a hallmark of James Horner’s film music. Jerry Goldsmith, one of Horner’s mentors, liked to score sparsely, only coming into a scene when music was absolutely needed. In doing so, he made sure the score had the biggest possible impact on the audience’s consciousness. Pursuing this philosophy with the utmost confidence and single-mindedness, Goldsmith famously scored Coma (1978) with the first cue starting at over three quarters of an hour into the film! Contrary to this less-is-more approach, James Horner went the other way and frequently wrote cues running ten minutes and more. In fact, Horner preferred to enter a scene and stay in long enough for the audience to stop noticing the score and certainly stop paying attention to it. He intentionally sought this subliminal level in the audience’s mind; only then could he go to work, shaping and manipulating the emotional response to a scene without the audience ever having a clue. This long-form approach definitely says something about the unobtrusive and self-effacing nature that is or can be a characteristic of film music as an art form. However, it is very easy to jump to the wrong conclusions. No, this quest for unobtrusiveness does not preclude the possibility and even necessity of forcefully rendered musical emotions: Golden Age masters such as Erich Wolfgang Korngold and Max Steiner were anything but subtle, but even their operatic scores often ended up slipping beneath the audience’s radar, if only because they played like musical wallpaper, with nary a second of the movie left unscored. Nowadays, we routinely (and often dismissively) call this approach overscoring, but all the same, Golden Age film music did its job as an element of subliminal emotional manipulation. Nor does unobtrusive film music discharge the composer from the obligation to compose music that is intellectually stimulating or musically interesting per se, as Horner’s own oeuvre abundantly demonstrates. Composers or movie producers who equal unobtrusiveness to musically underdeveloped soundscapes simply do not get the point. And the point is this: no matter how forceful the music, audiences are amazingly quick to reach a point where they stop paying attention to it. Why? Because the underscore is part of the metaphorical (= non-diegetic) and not the literal (= diegetic) world of a movie. If you want to follow a movie story, especially the first time around, you hook onto elements such as dialogue and sound effects, which are part of the characters’ world and tell the story on a literal level. Anything happening outside of this world is likely to be cancelled out, for the very simple reason that it would require the average audience to process too much information at any one time. Only when you watch a movie again, or if you’re such an experienced viewer that you can simultaneously keep track of what happens in both the diegetic and the non-diegetic worlds, can you reasonably expect to access multiple levels of storytelling and meaning. The world of underscore is one of these secondary levels. The long-form approach means that it becomes quite difficult quite quickly to draw the audience’s attention to the music, but what it loses, it makes up for (and then some) in other areas, because on a subliminal level, the film composer has free rein to manipulate our emotional response to the material. With that, obviously, comes the responsibility of manipulating correctly, which means with the utmost consideration for both the characters’ integrity and the audience’s intelligence. That James Horner never allowed his art to cross over into emotional travesty bears testament to his incredible humanity. I have tried to demonstrate that unobtrusive music does not mean simplistic or emotionally sterile music. And yet that’s exactly what too much of contemporary film and TV scores have become: simplistic and sterile. It may be a matter of unforgiving deadlines; I cannot believe that it’s a matter of a generation of composers who are unable to produce musical complexity. Whatever the reason, producers, directors and lots of film critics have come to accept and champion this approach as the de facto standard of contemporary film music. Of course, things never needed to end up this way. While I really don’t believe for a second that he consciously charted this course for film music as a whole, Hans Zimmer has been the single greatest influence on the evolution of film music during the past twenty years. He became a trendsetter in Hollywood with the nineties action score, aka the “modern action score”, propelled into the psyche of contemporary audiences by the likes of The Rock (1996) and Con Air (1997). True, Chariots of Fire had been a game changer in 1981, Vangelis’s anachronistic electronic score winning the Best Score Oscar and leading to a slew of electronically-scored pictures. However, these electronic scores comfortably existed alongside the traditional orchestral template, practiced by such old-school composers as James Horner, John Williams and Jerry Goldsmith all through the eighties. And sure, Peter Gabriel had provided a world-music score for Martin Scorsese’s The Last Temptation of Christ (1988), but the movie was not a blockbuster and so the approach did not take root. Zimmer’s world-music score for Gladiator, on the other hand, was another game changer because it essentially took Peter Gabriel’s approach and applied it to a movie that drew a huge crowd. 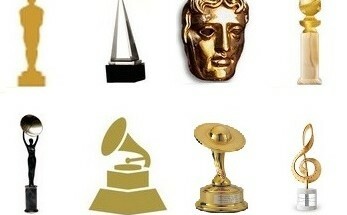 (In Hollywood, influence depends on profitability.) The definitive turning point came in 2003, when director Gore Verbinski fired longtime collaborator Alan Silvestri from Pirates of the Caribbean: The Curse of the Black Pearl and allowed Hans Zimmer and his collaborators to treat the pirate genre, no matter how post-modern and tongue-in-cheek it had become, with music that displayed modern rock sensibilities. A whole generation has now grown up with the idea that electronics are appropriate for pirates. Let me be clear: was the orchestra more representative of pirates per se? Of course not, but it was the generally expected sound and Zimmer’s first Pirates score proved to be a paradigmatic shift. Again, the Pirates movies made a gazillion bucks, there have been four of them spread over almost a decade, all of which means the approach had all the time it needed to take root in the general audience’s mind. Then Christopher Nolan’s Batman Begins (2005) happened and things went south in a big way. 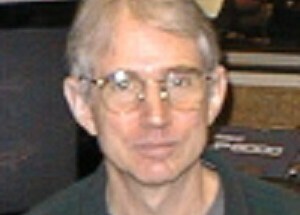 Zimmer composed an intentionally simplistic action score. Zimmer and Nolan decided that it was a viable approach for this particular picture, but not for a single moment did Zimmer intend for this score to become the new standard of action scoring. Since the movie made so much money, and since the two similarly scored sequels made even more, guess what, it did. Contemporary film music’s anemia is the unintended result of a score that was successful in the context of just one single highly profitable and therefore highly influential film. And yet, the Remote Control (previously Media Ventures) approach of film scoring need not automatically be a brain killer. This is one of the hallmarks of the true Hans Zimmer score: take a simplistic set of themes and rhythms, flesh them out with vastly diverse sounds and orchestrations and mix them into a result that makes you forget the underlying simplicity. 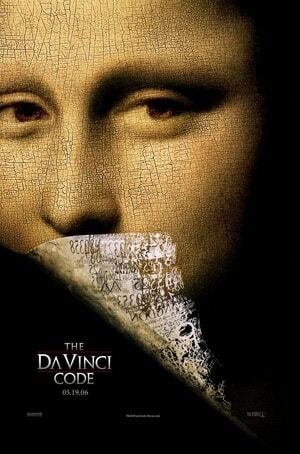 In this respect, the definitive Hans Zimmer cue is Chevaliers De Sangreal, the tour-de-force that ends The Da Vinci Code (2006). Tour-de-force indeed, not because it is a complex composition (it really isn’t), but because its constant adding of layers to a simplistic theme makes it the single most overwhelming cue in Zimmer’s career. The building stone is minimalist, the execution is downright romantic and almost triumphantly overwrought. James Horner uses this quintessentially Zimmeresque technique liberally and to great effect in House of Sand and Fog. His building stones are simple, but he repeats them with thickening or thinning orchestrations to create waves of music that give the movie’s third act its singularly specific pace. If this comparison to Zimmer offends you Horner fans out there, rest assured that there’s a lot more to Horner’s score than just the Zimmer influence. Let’s take a closer look at the material Horner draws from. Right from the first time I saw House of Sand and Fog, I was impressed beyond measure by the delicate nature of the score, but I quite simply did not understand it. Horner’s decision to score the movie’s entire third act as one single cue of stunning beauty clearly catapults that half hour of music into the realm of standout set pieces. I realized that and yet I delayed writing this article time and again. 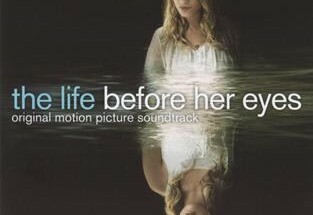 I was always confused by the contradictions surrounding the score: it surprisingly received an Academy Award nomination in 2004 yet was generally ignored or reviewed tepidly by most film music critics, even the ones I value highly. 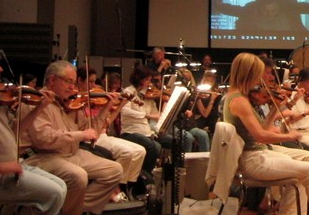 James Horner himself was proud of the score yet never spoke publicly about it in great detail. At the time, he only said that he wanted to find more pictures that allowed him to develop this particular scoring approach. And even though I have always loved the orchestral part of the score, I couldn’t for the life of me give it a meaningful place within the Horner canon. Also, I was thrown off by the simplicity of its constructs. First up is a fog motif that finds its origins in the Main Title from Braveheart (1995). 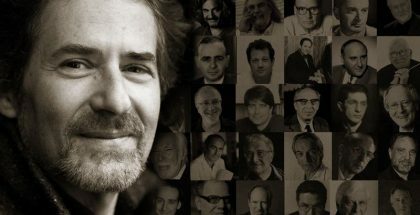 James Horner being James Horner, he repeated the idea in such subsequent scores as Bobby Jones: Stroke of Genius (2004) and First in Flight (2012), especially during the first part of the lengthy Kitty Hawk cue. The idea was a wonderful musical accompaniment to Braveheart’s foggy Scottish landscapes and is ten times more effective and meaningful in this score, but still, it’s not exactly a theme that sticks in the head. The second recurring idea is a tentative piano motif. Heard on the album at 2:34 into The Shooting, A Payment for Our Sins, it is more than a little meandering and hesitant. The third idea is the score’s “main theme” – look for its fullest statement at 2:32 into the album’s last cue. However, even this “theme” is just a couple of meandering string chords repeated endlessly and duplicated or built upon by other strings, in the same style but three years ahead of Hans Zimmer’s Chevaliers De Sangreal – minus the extroverted nature of that cue. I have always been baffled by the modest, almost nondescript nature of the building stones, but the real kicker was theme attribution. It is murky, to say the least. 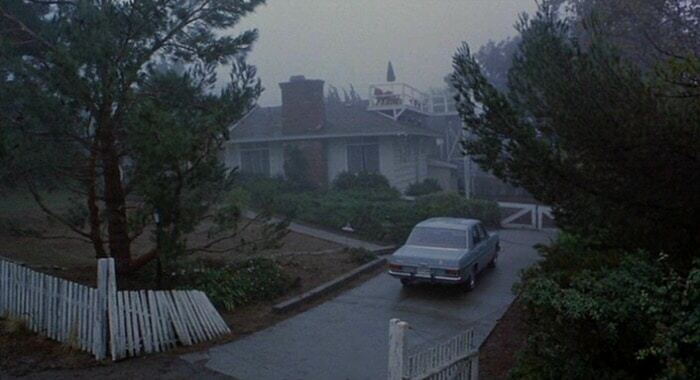 The fog motif often accompanies visuals of the house shrouded in fog, but also appears in scenes which are not remotely about fog. Similarly, apart from the eastern chimes and chords, Horner never attributes any of the building stones to individual characters or even story elements, largely ignoring the clearly constructed three-act screenplay that underpins the film. No one can blame a composer for rejecting the perspective of a static protagonist who does not evolve, but both Kathy Nicolo and Massoud Amir Behrani have very clear transformation arcs; why doesn’t Horner acknowledge them in the architecture of his score? Kathy Nicolo really doesn’t have a theme of her own, even though she is as central to the story as Colonel Behrani, who gets a sound but is denied a fully developed theme. Back in 2003, I found it utterly inconceivable that James Horner should compose a score lacking clearly delineated themes and motifs as the foundation of an intricate musical narrative. It’s quite simply not how James Horner had led me to understand his art. It’s too late to ask him now, but what if there were two vastly different, almost antithetical sides to the same composer? Perhaps there was the James Horner who could pull off the most intricately constructed musical narrative and the one who threw all that out of the window and let himself compose music of a far more abstract and poetic nature. It would explain the meandering synthesizer scores he made for small pictures, and which made for equally meandering listening experiences on CD albums such as Bopha (1993), The Forgotten (2004) and Southpaw (2015). What if House of Sand and Fog was somehow an extension of these scores? Polysemy is the capacity for a sign (such as a word, a phrase, a musical phrase or a symbol) to have multiple meanings. You would think the chimes were Horner’s way of acknowledging the eastern element in the story: Behrani’s Iranian background and his Muslim faith. Just when you think you’ve nailed the instrument’s attribution, however, Horner uses it in different situations, like Kathy’s (second) attempted suicide, this one in the bathtub of what was once her home. Does Horner use the chimes here to convey Kathy’s estrangement, now that her house is owned by other people? Are the chimes representative of the element of fate, one of the story’s themes? As I stated before, Horner uses the fog motif for settings that have no connection with fog whatsoever; only the “Iranian chords” seem to be reserved more or less exclusively for scenes with Colonel Behrani and his family. There’s more. It’s rather unlike James Horner not to wear his emotions on his sleeve (I mean this in the best possible way), yet this score is often detached, a little distant even. Horner responds to the shooting of young Esmail in a strikingly unemotional way, Behrani’s suicide is surprisingly violent and unremittingly dark (its anguished strings appropriately reminiscent of Lillian’s Heart Attack from 1983’s Brainstorm), and yet this is music every ounce James Horner. Only Nadereh’s half-suicide is afforded music of a more sentimental nature, with a heartbreaking violin solo. The polysemic nature of the building stones, Horner’s refusal to attribute them to specific characters or situations and the score’s surprisingly detached tone are three of the defining characteristics of this unusual but still eerily beautiful score. The director’s commentary track on the DVD revealed another element. Perelman and especially Sir Ben Kingsley point to the perspective of the gods. The presence of the gods is hinted at whenever the movie cuts to inserts of the sky, or whenever we see overhead shots, such as the big shadow-less lighting devices in the morgue. Sir Ben refers to them as angels watching over Esmail’s dead body. What if Horner also took the perspective of the gods? It would be conceptually appropriate, since both underscore as a cinematographic tool and the notion of gods operate on the non-diegetic level. It would also explain the detached tone of the score, because gods are eternal creatures who do not view individual suffering as we do: we think our whole world collapses when a loved one dies, but at any one moment, the gods see thousands of cases of similar suffering all over the planet. Moreover, humans have a lifespan of just decades. What does suffering in the lives of mere mortals mean to eternal creatures, who have a radically different notion of time? Fate is to Kathy what the gods are to Behrani. This is an element that unites them, and maybe Horner was looking for a necessarily abstract musical device that allowed him to bind the story’s protagonists. Furthermore, the absence of themes, motifs and narrative turn House of Sand and Fog into a purely poetic score, and a fundamentally transcendent one at that. It acknowledges individual moments but there’s an entirely separate undercurrent that flows independently from them. 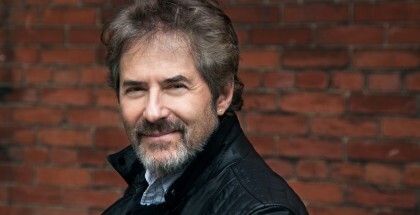 It led James Horner to compose waves. There are the literal Waves of the Caspian Sea that Behrani talks about and that lend the album’s second cue its title, but nearly all of the third act plays like a succession of musical waves gaining momentum now, subsiding then. Imagine all this as you listen to the score’s last half hour: it is (seemingly?) stream-of-consciousness, it has moments of emotional detachment, it takes the perspective of the gods and it moves in waves, every new wave scooping a character up and stranding him on a different shore, eventually pulling three souls away from the shore and into the vast open sea of death. In his commentary track, Vadim Perelman points to a shot of a black rock on the shore (at 1:53:15 into the movie) as a metaphor for the deaths in the Behrani family. Finally, there’s the issue of tone. Finding the right tone is the hardest thing to do for any artist. Director Vadim Perelman and writer Andre Dubus III explore characters who do wrong things despite their best intentions. Drawing from the idea of gods, Perelman sums it with this simple sentence: “Forgive them, Lord, because they are innocent: they do not know what they are doing.” The response of the gods to flawed human beings who do wrong despite their kind souls is the tone of Perelman’s movie and of Horner’s score, a mixture of solemn detachment and silent compassion. This would explain why Horner scored the first and second acts only with electronic instruments and textures: as events are set into motion, the gods witness in detached indifference. Only in the third act, when we get to see the tragic consequences of the characters’ actions, does Horner introduce the organic sounds of the symphony orchestra, even though some electronic textures remain. It shows compassion seeping into the gods’ gaze. The score’s concluding cues are radical and bold. They are poetic rather than conventionally narrative. Despite plenty of modulations there is no clear musical evolution over the course of 32 minutes. The wave approach keeps the music from being scene-specific, which would have allowed a lesser director to track cues into scenes for which they were not intended. Not that it keeps Horner from acknowledging individual moments, as the breakdown below will show. Also, the composer takes his trick of accenting editing cuts with chimes to a whole new level here, since the chimes are both structural markers and a musical building block. It’s one of the interesting paradoxes of a score that is timed to the visuals with click-track precision yet whose tone deliberately transcends individual moments. But most importantly, James Horner succeeds in binding all the events of the third act together into one tonally coherent piece of music even though it is alternately poignant, horrific and restrained to the point of indifference. To my knowledge, it is the finest example of the long-form approach in the digital age. At 1:29:44, Lester Burdon breaks into the house, effectively kicking off the movie’s third act. Horner’s first orchestral track is also the only one that resembles “action music”, since it modestly combines different layers of rhythm. By 1:31:42, however, the action is gone and only a dull sound bed remains on which the ta-ta-ta motif is repeated without variation. At 1:32:18 Horner starts one of the longest single cues of his career, the fifteen minute The Shooting, A Payment For Our Sins, two and a half of which were dropped in the final film. 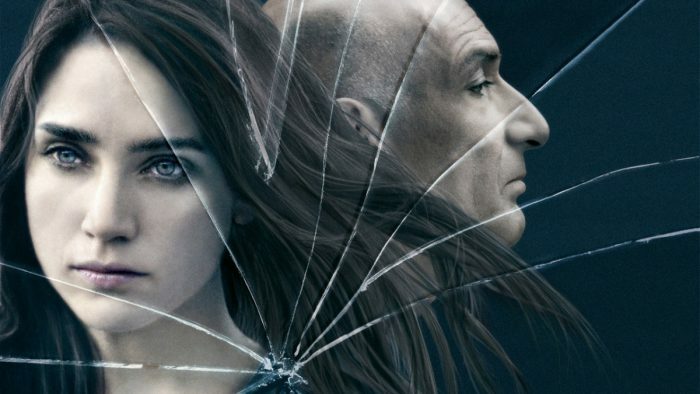 During these unscored moments, Kathy realizes Burdon’s good intentions might have disastrous consequences, while Behrani, locked up in the bathroom, tells Esmail to appear afraid of the policeman but be a lion in his heart, inadvertently sowing the seeds of Esmail's fateful action later on. The music picks up again when Behrani tells Burdon of his plan to drive into town to sign a document handing the house over to him and his family in return for $43.000 dollars, which is only a third of what Behrani hoped to resell it for. This way, Kathy would at least get the money she and Burdon need to start a new life together. At 1:37:24, the music turns to darkness as a chime accents the cut to Behrani, Esmail and Burdon in the car the next morning. The ta-ta-ta motif (moving from electronics to orchestral percussion and back again) builds tension and an endlessly repeating ostinato movement points to the inexorability of fate. As Burdon is interrupted by another policeman, a former student of his, Horner keeps up the momentum but makes the orchestration thinner, thus allowing this wave to subside a little. It picks up again and strings build to 1:39:29, when Esmail takes Burdon’s gun from its holster. When the boy inadvertently points the gun to two policemen entering the scene, he is shot by them. Horner totally underplays the shooting, offering just one sustained high string note. A new wave starts at 1:40:24, when Horner applies the same music to Burdon’s shock and Behrani’s panicked despair as he witnesses his son’s lifeless body being loaded into an ambulance (the “Pesaram, I am here!” moment). The composer tells us these feelings are different yet the same, and treats them as one. The wave starts gaining momentum as Behrani is released from the police station and runs to the hospital, where he checks in at the reception desk. A superlative dramatist, Horner allows the strings to keep building even as Behrani momentarily forgets his son’s name. The climax of this wave and its release is the scene of the Nazr, Behrani’s desperate prayer for the salvation of his son’s life. 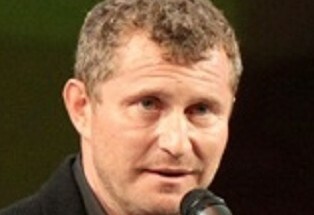 As voiced by Ben Kingsley, the Nazr is urgent, insistent, almost violent, and Horner responds by allowing the wave to subside to the point of serenity. It is a wonderful contrast. During this scene and the next one, the composer clearly takes the perspective of the gods. We see Behrani walking into the morgue and lifting the blood-stained sheet to look at Esmail one last time. Horner’s music is still somewhat detached, but the gods finally show a sign of compassion when Esmail’s hand touches Behrani’s cheek and Horner moves from a minor to a major chord. Film composers use minor-to-major shifts all the time, usually for moments when “the sun breaks through the clouds”. 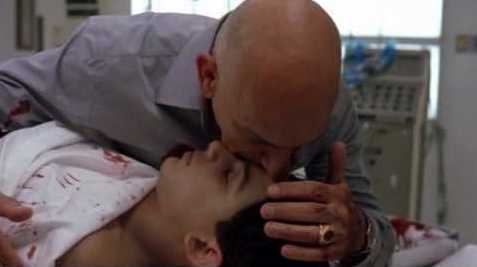 Here, the shift represents the father’s acceptance that his son is gone forever and his tender goodbye to the boy. Horner also punctuates the starts of musical phrases with soft piano touches, a technique he often resorted to in later scores. It is a moment that nails you into your seat, and it is just the first of three death scenes. At 1:45:22, the wave changes direction to find Kathy on a pier. The music looks ahead to the cleansing that will occur at 1:50:18, when Kathy spots a dead bird in the water. Burdon, now in prison, makes a futile attempt to reach out to his wife while Behrani drives home in defeat. The music turns darker again, with subtle yet oppressive percussion accents. Again, Horner applies the same music to both characters, but in this case, he does a little more. Since there is a pause in the narration here, the composer resorts to a sustained string note over which other strings play unfocused phrases. Behrani comes home to find Nadi sleeping. Yet another chime accent accompanies the reveal of the woman in the bedroom and the fifteen-minute cue ends at 1:46:59. It’s more of an eight-second pause, actually, because at 1:47:07 Behrani reaches for a bottle of pills in the medicine cabinet. It is the start of the finale. On the commentary track, Perelman says that Behrani is destroyed by America; the proud Colonel will fall on his own sword. The score’s penultimate cue is called We Have Traveled So Far, It Is Time To Return To Our Path, a title which is suggestive of Nadereh’s and Behrani’s combined suicides. The Colonel makes his wife a pot of tea, with a lethal dose of pills mixed in of course. At 1:48:18 and in a splendid moment of acting, Shohreh Aghdashloo’s Nadi realizes what Behrani is up to and she drinks the tea. James Horner responds with a simple little line for solo violin (at 1:15 into the album’s twelfth cue) that shows the gods at their most compassionate. The complexity of the moment and Nadi’s realization is rendered with images and music but not a single word. It makes her death one of the movie’s most cinematic moments, and thanks to James Horner’s music, one of its most heartbreaking ones. The musical wave rolls all the way through 1:50:18, when the music turns soaring for Kathy’s cleansing on the pier. Just thirty seconds later, however, and after a short two-second pause, the music turns all subdued again as Behrani puts his wife’s body down on the bed. It is the platform on which Horner starts building, because at 1:51:58, the fully dressed Colonel puts a plastic bag over his head and tapes it firmly around his neck. His suicide is violent, with insistent piano accents and strings swirling out of control. This musical device is so effective because it lasts for 90 excruciatingly long and incredibly painful seconds – I find this scene physically painful to watch. Piano accents reflect cuts to the beach in Iran or the cut-down trees that blocked the sea view or the black rock of death in the water, once sweet memories now tainted with the horror of Behrani’s suicide. The build-up is finally released at 1:53:28, when Horner tacets the music altogether for ten seconds: Behrani’s lifeless hand, holding his wife’s, falls down on the bed and the movie cuts to an insert of the setting sun (the gods’ perspective). As the moon is reflected in a surface of water, Kathy is seen returning to the house. She has come to give it up to the new owners, but she’s too late. The cue’s final two minutes (one of the score’s last waves within the context of the movie) comment on Kathy’s bewildered discovery of the corpses in the bedroom. Horner uses a simple string chord and builds on it, repeatedly using the chimes to accent cuts and using tentative high tremolo strings as Kathy assumes a fetal position between the bodies, a bird’s eye (God’s eye!) view showing that the three characters are finally united – Kathy’s surrogate family that was not to be. Another judicious pause occurs between 1:55:59 and 1:56:44, and the movie ends how it started, with a policeman asking Kathy if this is her house. “No”, she answers, after which Horner presents the final iteration of the fog motif on a shot of the house as it is slowly enveloped by fog. A final chime accent marks the transition from the coda to the end title cue, which itself is a succession of two musical waves. The cue ends in typical Horner fashion, with a long, drawn-out note interrupted only by the chimes of fate. I was going to meet James Horner for an interview before fate stepped in. I have been listening to his music since the eighties and had written down a long list of questions. I wanted to ask him about his obsession with silence, his judicious use of musical pauses, the kind of pictures he liked to work on and the kinds of music he enjoyed writing most. I realized that many of those questions had to do with House of Sand and Fog, which I specifically wanted him to talk about since it is a score I love so much yet understand so little. I realize that this article is one part analysis and two parts interpretation. It’s my attempt to understand the workings of a score which I think single-handedly elevates an already brilliant film to even greater heights. It may be the definitive example of the long-form approach: Horner etches individual moments into the audience’s memory while at the same time keeping the score from overpowering the material. It finds a unique tone, both detached and emotionally involved. It paces the third act with musical waves that operate on a literal and on a metaphorical level, and it forgoes the option of a musical narrative to become abstract musical poetry. 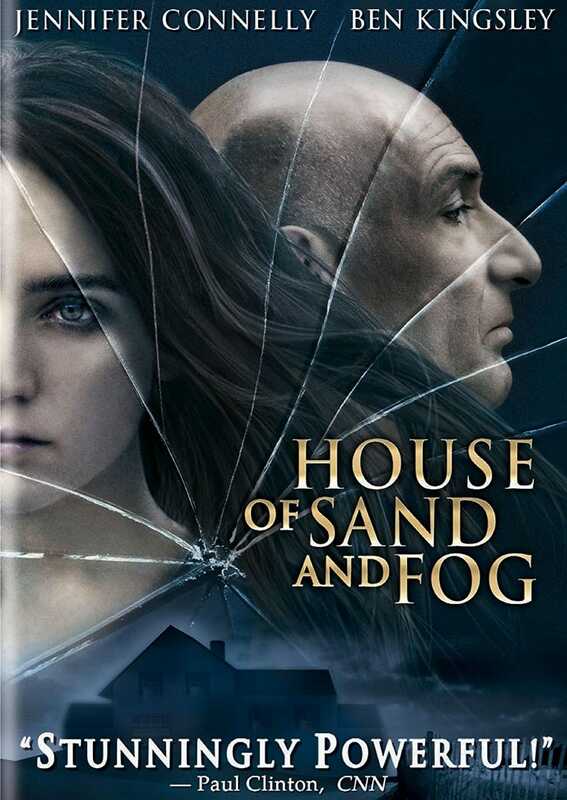 Of course, House of Sand and Fog is every bit a James Horner score, if only because the string writing is entirely his and the fog music is a recurring motif in the composer’s broader oeuvre. But above all, I believe the score stands as a towering achievement by a composer who excelled at scoring human stories with music of infinite refinement and compassion. There’s a James Horner who wrote the most amazingly complex musical stories, and there’s a James Horner who found human essence in musical simplicity. 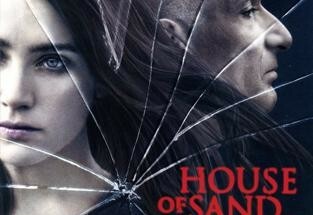 In my book, House of Sand and Fog is one of that man’s greatest achievements. Many thanks Kjell on doing such an impressive in-depth analysis of the intriguingly enigmatic, not to say enigmatically intriguing score that is ‘House of Sand and Fog’. Whether it dresses a strange body in familiar clothes, or does exactly the opposite is hard to say, but it has to be agreed that there are more than a few contradictions to this unconventional yet beautiful work, paradoxes which are explored with masterful precision in your highly informative essay. I think the years between ‘A Beautiful Mind’ and ‘Avatar’ were very fruitful ones in Horner’s career, and his scores from that era are the ones I listen to the most. There’s nothing wrong with scoring a sure-fire box-office smash, and no doubt Horner liked a hit as much as the next composer, but in choosing a project during this stage of his life, Horner was more interested in opportunities to push out the boundaries of his particular art form, even if the resulting pictures were likely to attract rather limited audiences. The concept of encoding a score with a philosophical sub-text seems to have informed his thinking with ‘House of Sand and Fog’, and he repeated the exercise the following year with ‘Bobby Jones: Stroke of Genius’. Your insights on what was going through Horner’s mind are a big help in trying to understand the music of ‘House of Sand and Fog’. As you point out, Horner was a composer well known for keeping his heart as close to his sleeve as possible, but the detached nature and tangible remoteness of much of the music are a real departure for Horner this time around. The score doesn’t really cut loose emotionally until we reach ‘The Shooting: a Payment for our Sins’, the remarkably long cue which is central to your interpretation of Horner’s aims and objectives on this occasion. The ideas you advance, in terms of the composer assuming the perspective of the gods and meditating on the role of fate in human affairs, provide a new way of listening to and unlocking the message implanted in ‘House of Sand and Fog’. The hypnotically tranquil seascape which Horner paints for us at either end of the score is ironically at odds with the tragic events that unfold in the narrative of the film, but his emotional and musical maturity is always underpinned with a strong sense of compassion. Thanks to your expert guidance the finer qualities of this great score do not need to slip through our fingers like sand, and we can begin to see our way through the fog a good deal better!